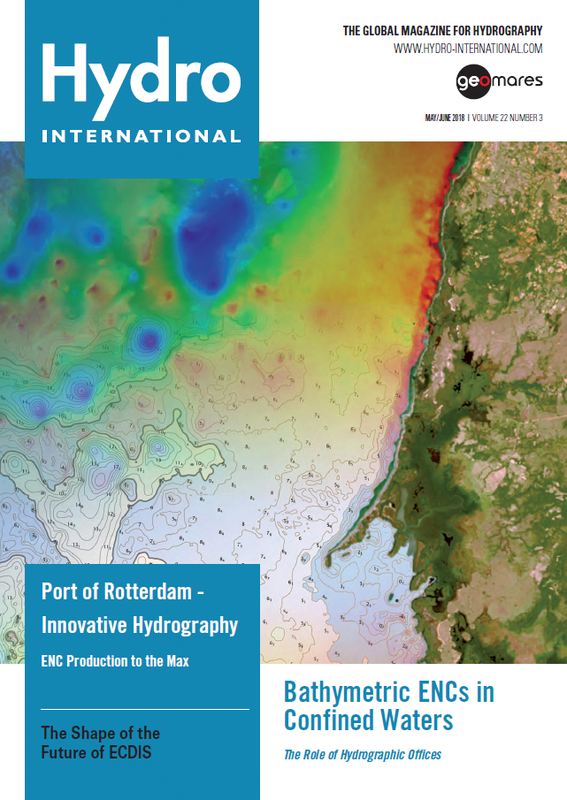 The front cover of this issue of Hydro International shows the transition from Landsat satellite imagery, to a satellite-derived bathymetry surface, to a bENC (Bathymetric Electronic Navigation Chart). The location is Golfo de Guanahacabibes, Cuba. From page 14 onwards you find an article that zooms in on the importance of High Density Bathymetric ENCs for the conduct of vessels in confined waters. 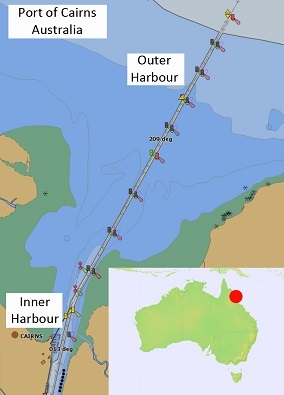 The Australian Hydrographic Office (AHO) has experimented with, and now published, High Density (HD) Bathymetric Electronic Navigation Charts (bENCs) for two ports, with more under development. These ENCs are available both to ships’ crew using ECDIS and to Marine Pilots’ PPUs. Why are High Density Bathymetric ENCs so important for the conduct of vessels in confined waters? Why is it so important that these ENCs become available to both ECDIS and PPUs? Before answering these two questions, it is necessary to understand the background of the Australian approach. The Port of Rotterdam is a leading global port and by far the largest seaport in Europe. Understanding the depths throughout the 40km of the port’s waterways is a critical to the day-to-day running of the port. 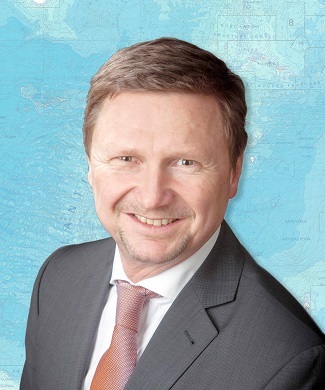 Because the Netherlands Hydrographic Office only produces Electronic Navigation Charts (ENCs) for harbour usage, the port investigated the possibility of producing ‘Berthing’ ENCs containing high density depth data to support decision-making within the port. The navigation channels in the Dutch Wadden Sea require continuous maintenance due to unceasing sedimentation of sand and mud. 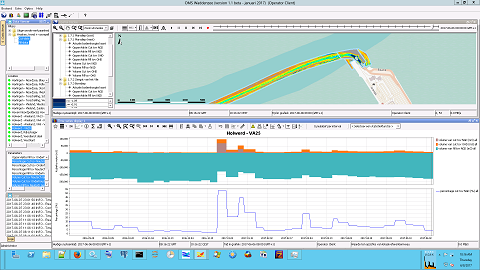 In this article the authors describe the data management workflow and adopted technologies for a maintenance management system (MMS) used for morphological monitoring and forecasting of the various navigation channels. The 1st of July 2018 turns out to be an historic date for chart navigation at sea. On exactly this day ECDIS carriage requirement will be mandated for any new and existing vessel of relevant size on international voyages. This date, however, will not gain any particular reaction from those who are affected and this is due to the applicability and implicitness of technology. It is fair to say that this date marks symbolically that ships navigation has accomplished the principal shift from analogue paper charts to the era of digital chart navigation. I was one of those who wrongly predicted the decline of paper charts ten years earlier. But now, after some delay, it is really happening.